This is the first post from one of our new team members, sixth-year debater Toby Rivas. Keep an eye out for more practical strategy tips from him coming soon! Debaters have lots of silly quirks–“debaterisms,” if you will. Things like always quoting Ronald Reagan, spelling “critique” with a “k,” and not knowing what the heck “inherency” means. That last one is a real shame, because well-crafted inherency arguments are devastating to an Aff team, and can take your impact calculus to the next level. What even is “inherency” and why can’t debaters use normal words? There are three main types of inherency: structural inherency, attitudinal inherency, and existential inherency. Structural inherency deals with how a system is built to create a barrier (or lack thereof) encompassing laws and processes. This is also where the mythical killshot inherency argument of “they passed the Aff plan last night” theoretically exists. 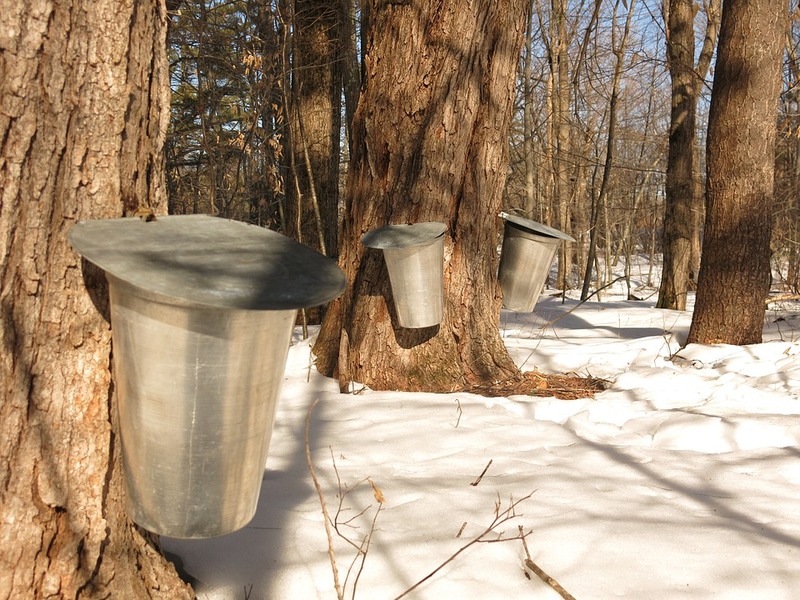 Example: The Aff case is to place punitive sanctions on Canada for its predatory subsidization of its maple syrup industry. Structural inherency’s answer to “why haven’t we already retaliated?” might be that NAFTA prevents the US from reacting with raised tariffs. Attitudinal inherency deals with what attitudes, thoughts, and moods contribute to the status quo, usually those of policymakers and the public. Example: We haven’t already retaliated because Congress is laboring under the illusion that Canadians are extremely polite, and it’d just be rude to act like we don’t want their maple syrup. Example: We haven’t already retaliated because when the bill got to the President’s desk, his pen ran out of ink. He ran to Office Depot to pick up some new inkwells, but while he was gone, a stiff breeze picked up the bill and blew it out the window, so he forgot about it. Inherency arguments examine first if a problem actually exists, then if existing processes are in motion to solve that problem, then the presence or absence of barriers to solving that problem. I’ll break down how to argue and impact inherency arguments that fall under each of those three questions. The examples I use deal almost entirely with structural inherency, but they can be applied to any of the three. #1: Does the problem exist? -Impact A warrant (Aff’s solution of punitive sanctions operate on the assumption that Aff’s harms are caused by a bad governmental actor that can be pressured into changing its policies and made an example of on the world stage. As demonstrated by our analysis, that assumption is faulty. No amount of bullying will get the Canadian government to fix the problem, because it’s not a problem it can fix. Masking DAs are structured the same way. Their impact is that an Aff ballot wrongly identifies the problem and then acts to solve it. In so doing, they make the actual problem far harder to solve in the future, since now the government has taken a stance on the issue and there’s a bill Congress can point to as a solution. This compounds all your other arguments: not only is Aff unhelpful, and they manage to create a bunch of new problems, but they even manage to make the original problem harder to solve. Combining a masking DA with an implied counterplan aimed at the actual root cause can be extremely effective. #2: Are existing processes in motion to solve the problem? From there, you can do lots of different things depending on the specifics of the round. One of my favorites that works fairly frequently is the rashness argument. Two years ago, there was a TP case that criminalized any travel to China for the purposes of getting an organ transplant, because China brutally and illegally harvested organs from prisoners of conscience. The case had an a priori moral weighing mechanism, which basically said it is unacceptable for any US citizen to be involved in this, ever, and the government needs to enforce that. But at the time, Congress had already condemned China, barred passports for implicated persons, and was conducting a robust investigation. In fact, there were a few cards from one of Aff’s top experts saying that he believed change was coming soon, and the US’ current initiatives were the right ones. All that in mind, Aff’s approach served to undermine the processes already doing their job effectively in the status quo, and would certainly result in a number of wrongful convictions. Inherency allowed us to frame the debate as “do something silly and rash” vs “allow the experts to finish solving the problem they’ve already begun solving.” At that point, impact calculus is easily won–we get to claim Aff’s advantages, and their a priori moral weighing mechanism falls apart because it assumes that the status quo represents inaction and complicity. #3: Are there barriers to solving the problem? Usually not. Most of the time, Aff doesn’t use their fiat to do something extraordinary–they pass a bill or create a reform. I’m pretty sure no NCFCA judge would buy the argument that a lack of barriers to solving the problem means a Negative ballot is warranted. “Congress can pass the bill, so Aff doesn’t need to tell them to, so vote Neg” sounds kind of dumb. On its own, this sort of inherency is weak. So go where too few NCFCAers have gone before: go win on inherency.